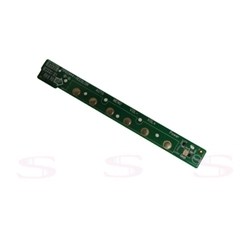 Description: New genuine Acer lcd monitor keypad board. This may be the part you need if your power button or volume keys stop working. Acer B173, B193, B193W, B223WL, B233HL, B243HL, V173, V193, V193L, V193W, V193WV, V203H, V203HL, V223W, V223WL, V223PWL, V233H, V233HL, V243H, V243HL, V243PHL.